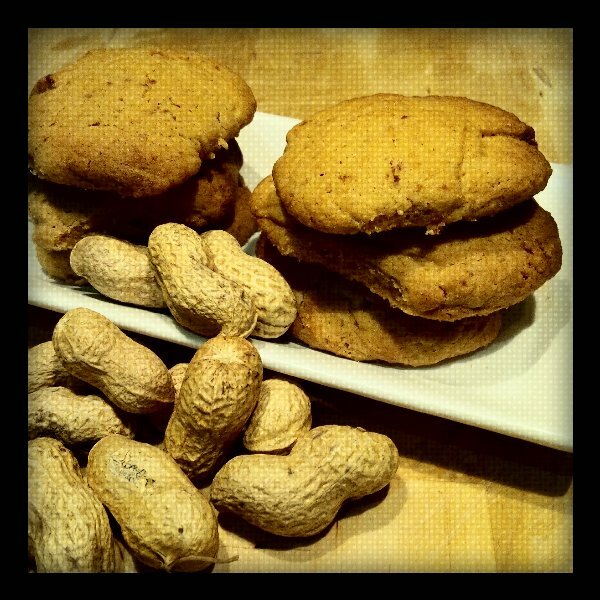 The easiest instant-gratification peanut butter cookies with maximum flavour! Preheat oven to 175C/350F. 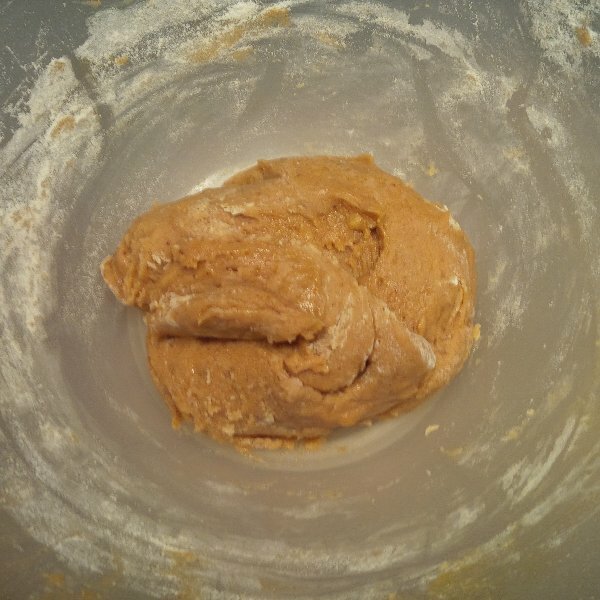 Cream peanut butter & butter in a mixing bowl until smooth. Add sugar; beat to combine. Add egg & vanilla, and beat until creamy. Add flour, combine till batter looks like this. Line tray with parchment paper. 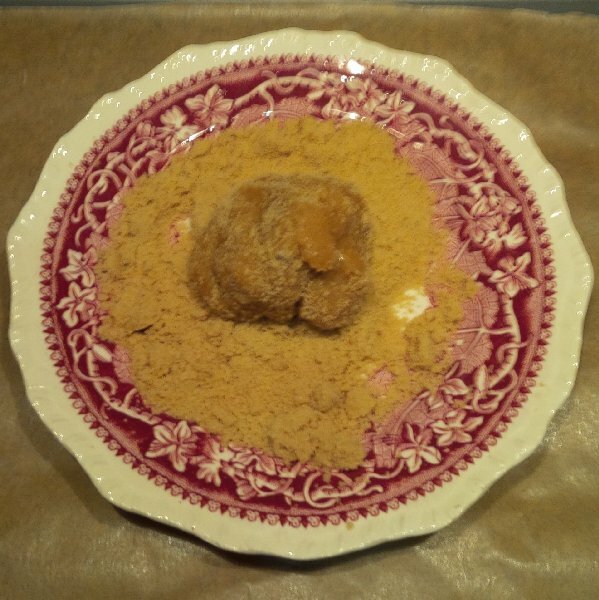 Place granulated sugar on a plate. Roll cookie dough into balls & roll balls in sugar to coat them completely. 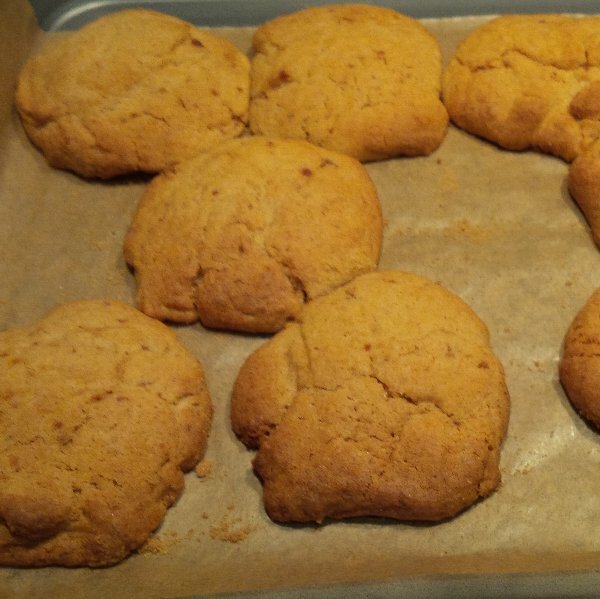 Place cookies 2 inches apart on prepared baking sheet. 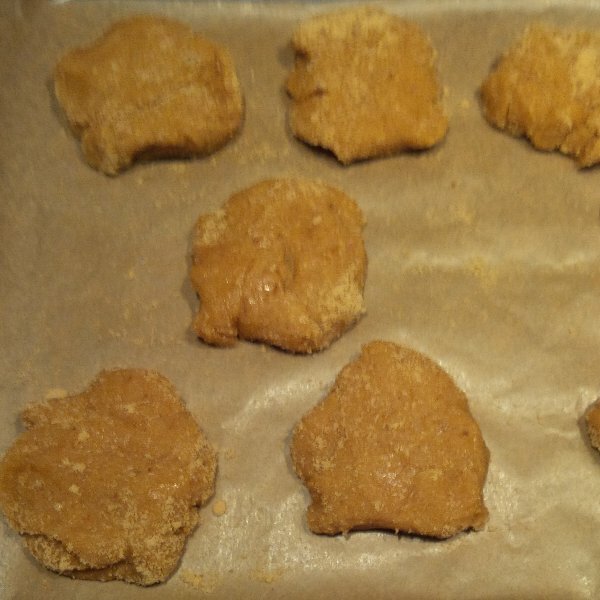 Bake until cookies begin to puff up slightly, about 12 minutes, until they are just brown around the edges. Remove from oven and let the cookies cool at least 10 minutes on baking sheet before transferring cookies to rack to cool completely. Serve with coffee & enjoy! I just baked a double batch tonight for a charity bake sale tomorrow. 10 minutes to mix, 12 to bake – they really ARE a winner!